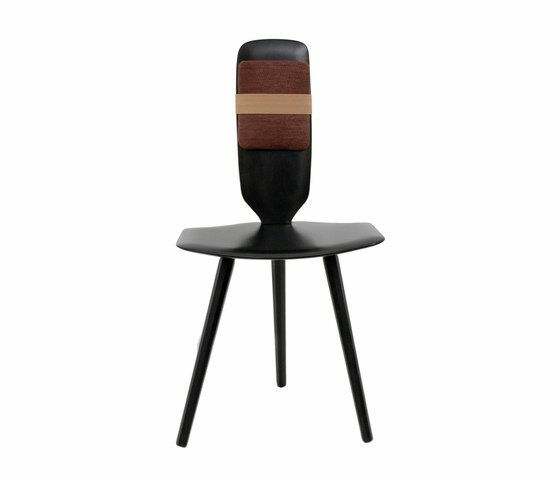 Three-legged dining chair, in solid beech wood, available in a variety of lacquered colours or stained-completed with a upholstered cushion, in fabric or leather. Material: Beech, lacquered white/black/bordeaux/yellow or stained. Dimensions: 50 x 45 x 47/93 cm.